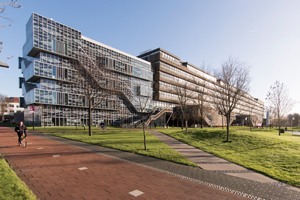 Our Microlab is situated in the faculty of Civil Engineering & Gesosciences at the Delft University of Technology. The Microlab is a fundamental research lab in which the projects have strong links with experimenting & modelling. Cement-based systems (e.g. concrete) is our primary area of research. Co-operation in research on other building materials can be discussed. Interest and experience in the Microlab research is driven by predicting material behaviour through understanding microstructure formation. If you have research questions, joined research projects, masters of sience projects, exchange programs, lectures requests or any other questions related to the Microlab, do not hesitate to contact us! We'll be happy to assist you.